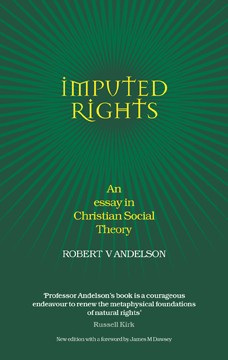 One outcome of the Second World War, Professor Dawsey writes in his foreword to this edition, was the proposition that all human beings should enjoy certain fundamental freedoms. These were enshrined by the United Nations General Assembly in 1948 in the Universal Declaration of Human Rights. The country is in crisis. Unrest and inner city tensions feed on unemployment. And as the Government struggles to contain the soaring debt, no one listens. Most are tired of ‘PR-savvy’ words, tired of the ‘blame-game’ that poses as debate. Although the Edwardian period may in retrospect appear to have been a golden age, it was in reality a time of much turbulence in the political and social fields. There were long and often violent strikes in the docks and coalmines as well as in other less vital industries. The President goes missing. Every corner of the White House has been searched and double-checked, without success. The Vice President is in Europe, so the decision of whether to go public or not falls upon the Chief of Staff. Ricardo’s Law judges Tony Blair’s decade in power. The author marshals the evidence to address four indictments of how the modern state operates, and how New Labour failed to advance its agenda. Blair was given a mandate to modernise Britain’s institutions and include everyone in the prosperity of the nation. Fred Harrison explains why this prospectus could not be realised, because tax policies continue to favour the rich and penalise the poor. In the five years since the first edition appeared, events have unfolded as predicted. In 2005 the consensus among forecasters was that the boom in house prices would cool to an annual 2 or 3% rise over the following years. In fact, in keeping with the ‘winner’s curse’ phase of the cycle described by the author, prices have risen by more than 10% per annum in Britain. Land rights confer wealth, but not uniformly. Location matters – building Canary Wharf in a desert without the associated infrastructure would not have made anyone richer. The same effort and investment on a prime site yields a far better return than on a marginal one. The author discusses the nature of the Social Conscience and the moral values that it embodies. Seeking to do what is right, motivated by a sympathetic awareness of others, driven by the instinct to care and acknowledging the necessity to share, the Social Conscience expresses innate moral values. First published in 1879, Progress and Poverty has sold millions of copies around the world. This masterpiece of political economy goes to the root cause of why economic development causes wealth and want to increase side by side. Henry George realised that the lack of a clear understanding of economics was the main obstacle to realising the reform he proposed in Progress and Poverty. In this book his aim was to set out ‘in clear and systematic form the main principles of political economy’. Drawing on evolutionary biology, the history of ideas, cultural anthropology, economic history, moral philosophy and social psychology, the book summarises key contributions from each in a style accessible to the general reader. The challenge of the twenty-first century is how to establish access to the resources of the earth for the whole population so that the able-bodied can support themselves. The welfare state can then be slimmed down to no more than is necessary to provide for the diseased and disabled.